Leicestershire made a winning start to their Specsavers County Championship campaign with a seven-wicket victory over Sussex at Hove. 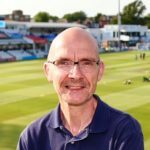 It was Leicestershire’s first Championship success at Hove for 24 years and the calm way in which they approached a potentially tricky target of 230, on a pitch that did not deteriorate as much as Sussex had hoped, will give Horton and coach Paul Nixon plenty of encouragement for the summer ahead. Sussex coach Jason Gillespie said: “It’s disappointing. We hung in but when you find yourself 38 for 5 on the first morning and under the pump it’s very hard to come back from that. “Then on the third morning we lost 4 for 21. If we’d got a few more runs, we could have made it really challenging but fair play to Leicester, they played well. 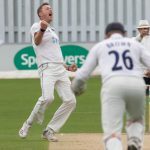 “There were two occasions when we lost wickets in clumps and our batters need to identify those periods and adapt when the opposition are bowling really well.